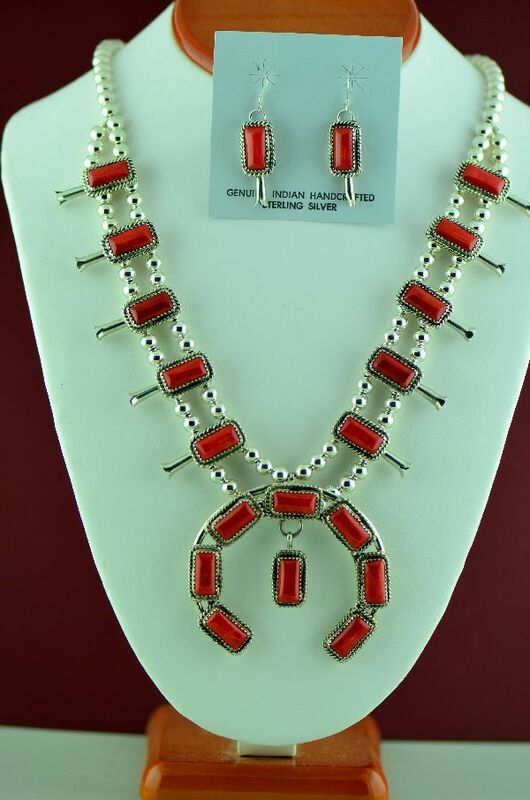 This incredible necklace is created by Navajo artist Rosita Singer. 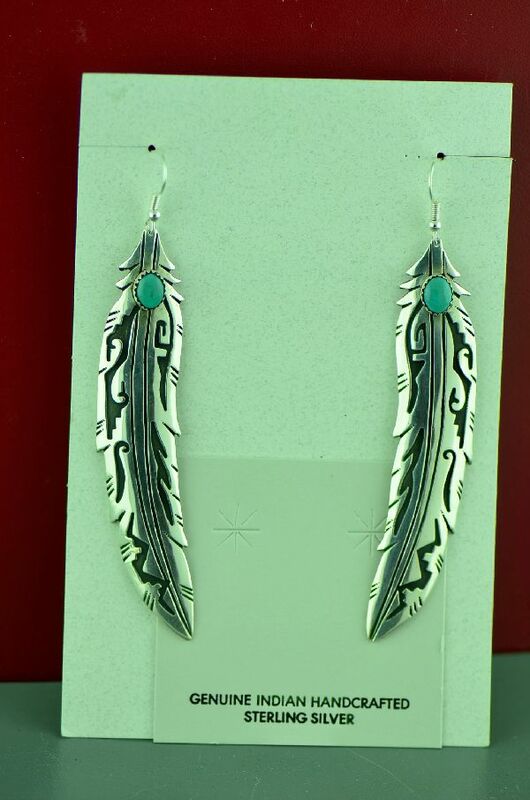 Rosita (Rose) was married for almost 40 years to world renowned Navajo silversmith Tommy Singer. Tommy worked for years with his family creating beautiful jewelry in silver and gold. His work is coveted throughout the world by collectors. Since his passing in 2014, Tommy's wife, Rosita, has continued his legacy. 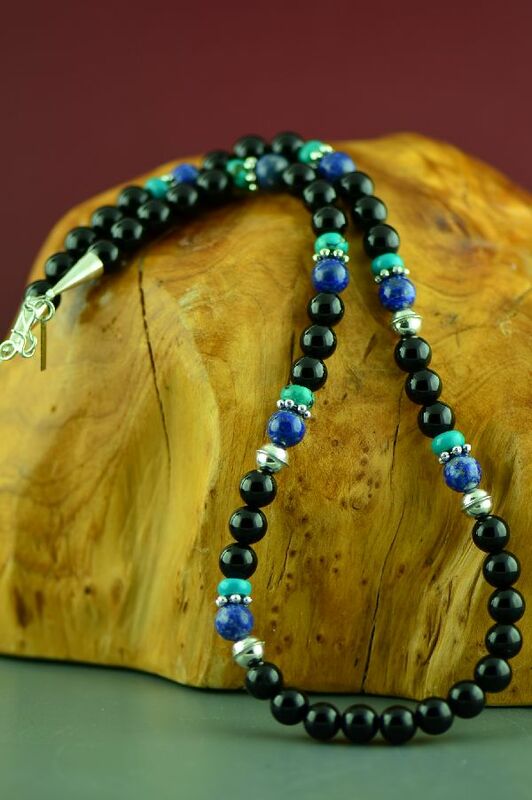 This necklace is made up of Apple Coral, Turquoise, Black Onyx and Lapis beads well as 4 sterling silver beads and 6 Bali beads accented throughout. 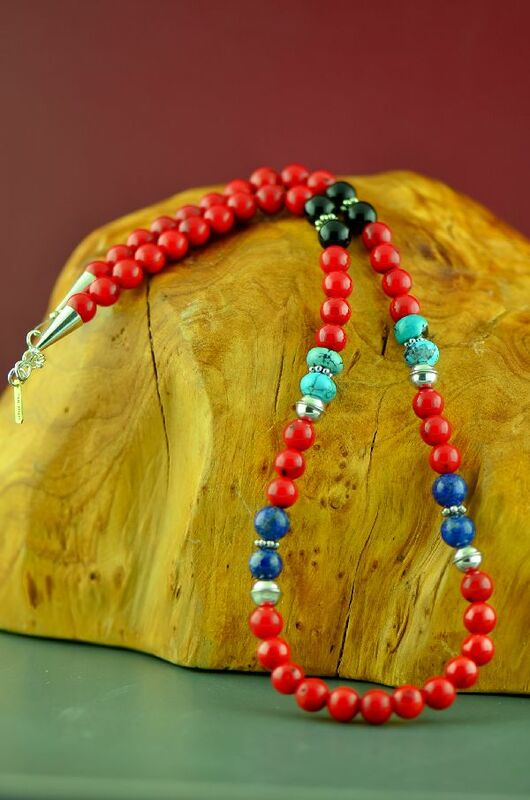 The overall length of this necklace is 20” and is finished with sterling silver cones and clasp. 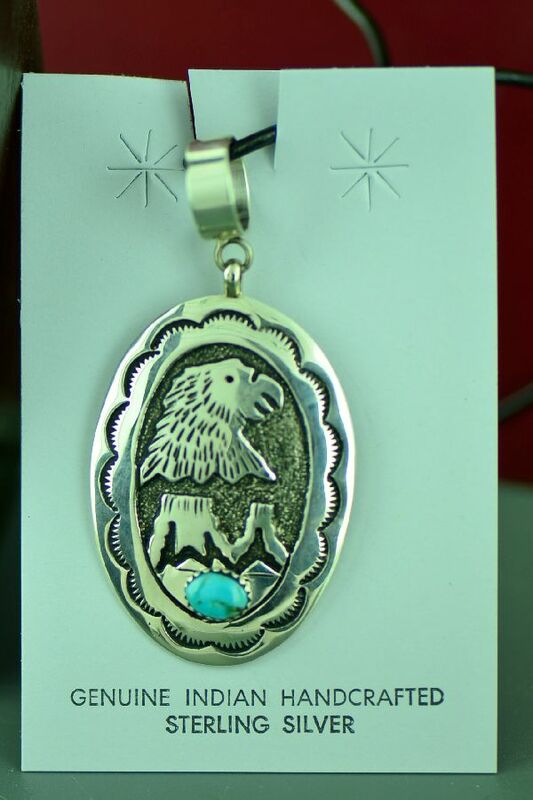 This is your chance to own a piece from one of the most famous Native American families of all time. Their work is highly collectible.